The Dadeville Area Chamber of Commerce is a non-profit organization comprised of local businesses, civic leaders, other non-profits, and individuals. Our main focus is to promote the economic vitality and success of our Chamber members. Our Board is made up of a group of passionate volunteers who coordinate and work together to showcase Dadeville’s rich resources and innovation. We strive to build an even better Chamber and support the local economy that is the anchor of our community. 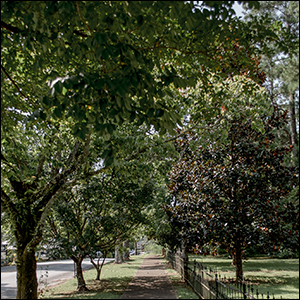 Quality of life, happiness and fun are the key factors in what makes Dadeville such a wonderful place to call home. We welcome new members from all areas of Tallapoosa County and the greater Lake Martin area. We value our members and are dedicated to lending them a voice, as well as, an ear to assist each one in meeting their career goals. In addition, the Chamber provides training, networking and marketing opportunities to help businesses succeed and thrive. The Dadeville Area Chamber of Commerce provides essential resources a start-up business needs to get going and grow. We will be there for you from the ribbon cutting to social media promotions to moral support. Our talent-rich business community includes everything from artisan boutiques to wholesale automobile parts, manufacturers to craft wineries to custom home builders to gourmet food retailers. The Lake Martin region is truly an eclectic and vibrant network of business, tourism, education, sports, agriculture, research, and technology. Our local community’s talent pool is astounding; don’t let the small town label fool you! We are a community of small and medium-sized businesses; we invite cutting-edge development to our area.